Amazon Instant Video’s newest original series has had us excited for a long time now. Observant types will remember that the on-demand giants offered us a taster of the detective drama Bosch early last year, as part of its 2014 pilot season, and viewers were so impressed that they voted for Amazon to make the show its next original series. Now, at long last, the full season is available to stream for free via Amazon Prime. With its writers and directors’ previous works including Breaking Bad, The Sopranos and The Wire, Amazon’s Bosch kind of sells itself. But we’re too fired up to stop there. 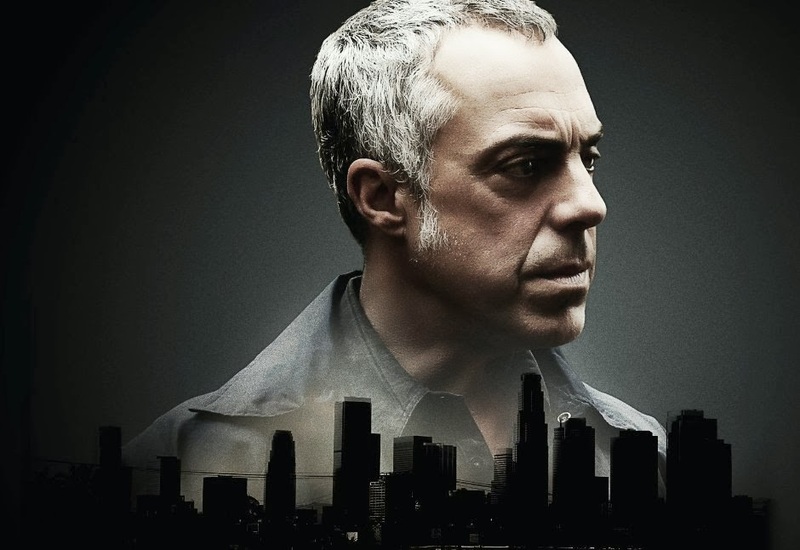 Now, the hardened detective is set to become an even bigger household name, as veteran actor Titus Welliver brings him to life on our screens. The silver fox has already established a fan base for his roles in the Academy Award-winning Argo, and cult TV shows such as Sons of Anarchy, Lost, The Good Wife and Prison Break. Yet his nuanced performance as the troubled Harry Bosch – son of a murdered prostitute and soldier in two unpopular wars – is his most impressive to date. In a Walter White-style moral ambivalence, Bosch is neither heroic nor likeable in the season’s not-at-all-festive pilot, “‘Tis the Season.” He shows no remorse when standing trial for the unprovoked fatal shooting of a serial murder suspect. He prefers working with corpses to human company. He smokes in a No Smoking area. And he all but assaults a reporter who tries to take a photograph of him. Yet there’s something instantly attractive about the brooding man of few words, whose noirish monologues remind us of Mickey Rourke’s Marv in Sin City. When a cold case involving the beaten and battered remains of a missing boy comes to his attention, Bosch works tirelessly to pursue justice at all costs; even if this forces him to confront his own painful past. Challenging the conventions of most TV shows, which strive to create a central character that viewers will instantly warm to, Harry Bosch draws us in precisely because his cold and standoffish exterior compels us to figure him out. We’re also intrigued by that white woven bracelet permanently affixed to his wrist, which Welliver told TVDaily is a friendship bracelet from his real-life daughter, but could well play into the character’s story. “Harry has a daughter so you guys can figure it out. You haven’t seen the daughter yet, but she plays a significant role in this season,” expanded Connelly. Meanwhile, supporting actors Jamie Hector (The Wire, Heroes), Amy Aquino (The Mentalist, Being Human) and Julia Brasher (24, The Vampire Diaries, Castle) each bring humour, humanity and romance to the mix, and we’re excited to see their characters and relationships blossom throughout the season. All ten episodes of Amazon’s Bosch are now available for unlimited streaming to Amazon Prime Instant Video customers in the UK, Germany and USA. Non-Prime users can watch the first episode for free.